Let’s start with the basics. Save for where she cropped up during the main plot of the Marvel civil war, I have never read a single issue of Spider-Woman in my life. When I played Marvel Ultimate Alliance, I never picked her to be on my team; I mean why would I when I had my dream combo of Silver Surfer, Iron Man, Colossus, and Storm? I should also add that I hadn’t read anything in the Marvel universe before the civil war for about five years and really nothing much since. 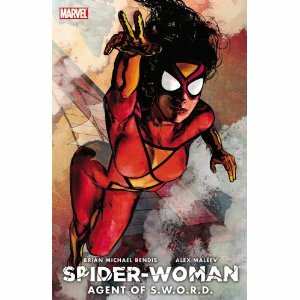 So for all intents and purposes Spider-Woman: Agent of SWORD is my introduction to the character and her corner of the Marvel universe. The story for this motion comic is set shortly after the events of Marvel’s “Secret Invasion” story line. Therein, the Skrulls infiltrated the Earth, replacing A-list super heroes with their own shape-shifting operatives. Jessica Drew aka Spider-Woman was lucky enough to be replaced by the Skrull queen, herself. The first “issue” of this story begins with Jessica sitting in a sleazy hotel room commenting on the fact that she is likely the most screwed over person in the world. She even goes so far as to put herself above Wolverine in this regard. It’s not exactly an endearing start for a newbie like myself. However, I suppose maudlin whingeing is a risk that a reader runs when they engage with a hero whose name is prefixed with the word spider. The five issue/episode arc is a venerable primer for the Marvel universe’s recent history. The Avengers are working directly for SHIELD. Hydra is trying to stir revolutions in Southeast Asia. And, most relevant to the story, an organization called SWORD (Sentient World Observation and Response Department) is rounding up alien threats to the Earth, most notably left over Skrulls from the secret invasion. For want of any other purpose in life, and a healthy desire for revenge, Jessica joins SWORD. Her first mission is to kill a Skrull hiding out on the island of Madripoor. Unfortunately, hunting down this rogue Skrull operative is a minor plot point within the overall story arc. Too much screen time is dedicated to Jessica on the run from local law enforcement, some douche bags called the Thunderbolts who are in the employ of Norman Osborne, and Hydra’s attempts to bring Jessica into their particular fold. On an interesting note, Skrulls are not at all the way I remember them. When Jessica calls out the Madripoor Skrull in the middle of a crowded bar, he beats the ever loving piss out of her without breaking much of a sweat. The only thing that saves Jessica from untimely death is the arrival of the Avengers. You heard me, it takes the entirety of the Avengers to deal with one freakin’ Skrull. Anybody else remember when the Skrulls were a bunch of mamby-pamby pushovers that got relegated to the Fantastic Four? Or when one particular Skrull got passed back and forth between the Thing and the Human Torch like Robin does between Barney and Ted on How I Met Your Mother? Now it takes the Avengers just to bring down one. I’d hate to see what the Kree are up to these days. So as far as the story goes, it’s not great, but it’s not the worst thing I’ve ever seen, either. The combination of Alex Maleev’s gorgeous art work and Nicolette Reed’s voice acting as Jessica Drew, almost makes up for the plot’s short comings. Reed’s performance is consistent, fueled by believable emotion, and succeeded in creating some empathy between myself and a character who was all but unknown to me. Maleev’s art is grim and highly detailed. He does a fantastic job of showing Marvel’s dirty underbelly. At the same time, tapping Reed to voice Lady Hydra, a villain who has numerous scenes with Jessica, was a mistake. There were points when it sounded like Jessica was having a very manic conversation with herself. Also, whoever was doing the voice for Captain America hammed it up so badly that the final episode should come with a non-kosher warning for any Orthodox Jews who might be watching it. Overall, Spider-Woman: Agent of SWORD is a bit of a mixed bag. Inevitably, somebody with a finer eye for recent events within the Marvel universe would be horrified by this story arc. 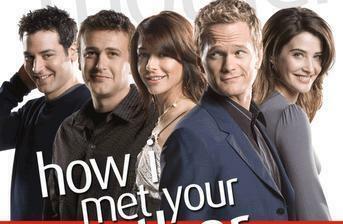 As a newcomer to the character, I certainly wasn’t bored by what I saw. Generally good voice acting does more than its part to make up for a plot that would have benefited with a bit better focus. In the end, I can think of worse ways to spend an hour.